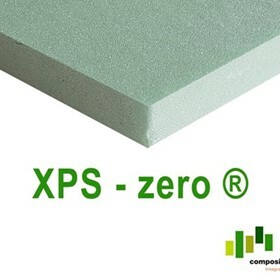 THERMOMASS XPS Insulation System: a cost effective, ODP-zero, fire resistant and energy efficient way to build and insulate with precast concrete sandwich panels, to not just satisfy Section J, but provide comfortable places to live and work. 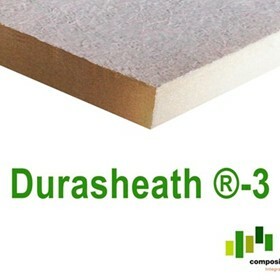 Durasheath-3 and Thermasheath-3 PIR Insulation: low-cost rigid PIR insulation systems with a matte-fibre or foil facer, respectively, that blend seamlessly with concrete formwork making it ideal for unobtrusive under-soffit applications such as car parks. Mammoth Polyester Panel: a 2-in1 insulation and acoustic treatment. Randomised fibre construction makes this polyester panel, tested to ISO9705 fire rating specifications, extremely easy to work with. 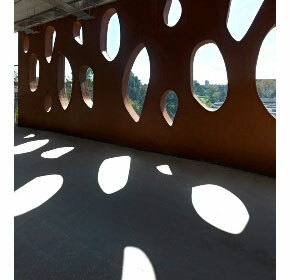 This panel has been used in everything from car parks to university lecture halls. Composite Global is always ready to talk to you about your precast concrete and under soffit insulation needs and how to maximise the return on your investment in insulation. 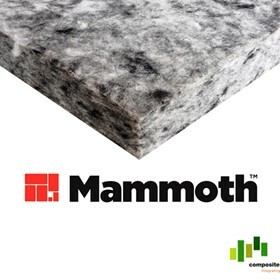 Composite Global specialise in being able to give the right advice to specifiers in selecting a precast concrete building insulation method that meets the code and clients’ needs for energy efficiency requirements of BCA Section J, and beyond. 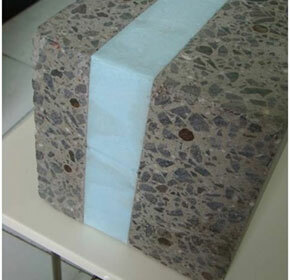 Thermomass Insulated Concrete Panels When thinking about economy of scale, flexibility and efficient construction time, Thermomass makes precast concrete sandwich panel construction the intelligent option. 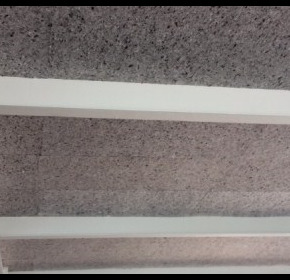 Our range of PIR and XPS insulation solutions for Section J requirements in under-soffit, carpark, wall cavities and roof applications, offers maximum R-value at industry leading rates. Composite Global Solutions is proud to present our latest insulation offering, XPS-zero – a high quality, rigid XPS insulation board with a high compressive strength, zero ODP and very short lead times. 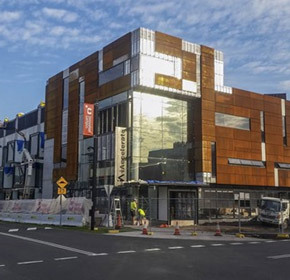 The installation of 3000 m2 of Mammoth panels at University of Wollongong’s new iAccelerate building marks the largest education-based project that Mammoth Soffit Panels have been installed in. 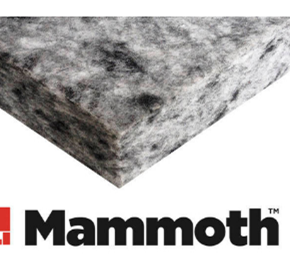 Mammoth panels have really started to gain traction since their introduction to the Australian market in early 2015. 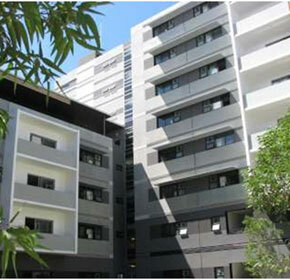 Composite Global Solutions recently supplied Mammoth Carpark Insulation panels on Tauranga project’s composite slabs. 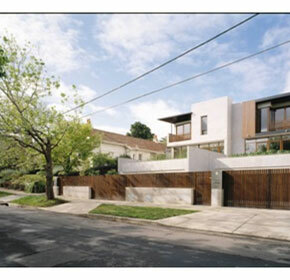 Composite Global Solutions and de Campo Architects are embarking on their latest project, Boroondara House, in Sorrento. 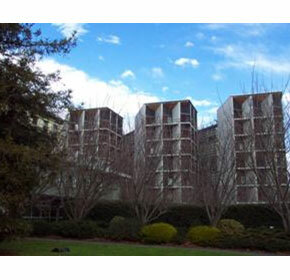 The two-storied dwelling, nestled on a gently sloping site is intended as a place of sublime logic and enduring performance. With construction nearing completion on 66-68 Cubitt St, Richmond, the prominent superstructure of the 4-story mixed residential/office space is starting to take shape. 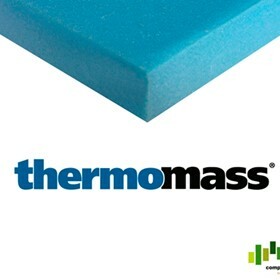 IndustrySearch spoke to Fredrik Carlstrom from Composite Global Solutions about the importance of selecting the right building insulation for increased energy-efficiency, cost-effectiveness and long-term durability. 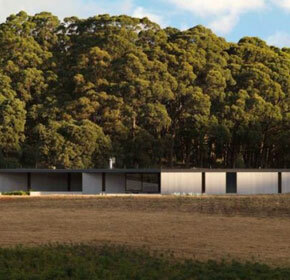 In designing one of their latest projects, Kerstin Thompson Architects’ (KTA) have achieved that elusive harmony of correctly proportioned form versus function that manages to seamlessly integrate with the natural surroundings. 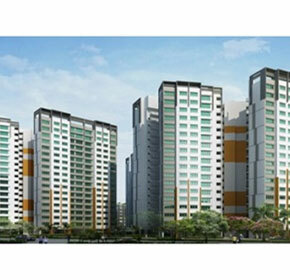 The aged care industry is set to continue to expand in order to accommodate Australia's ever increasing ageing population. Winter has well and truly arrived, when the mercury drops, most heating bills skyrocket as homeowners try and fight a losing battle in heating poorly insulated households. 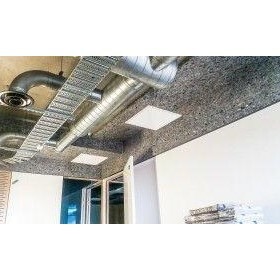 As one of Australia's fastest growing insulation suppliers, we find there is a lot of confusion among our customers as to which insulation is best suited to their needs. 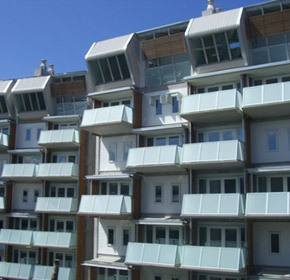 If the heat waves and fires of the recent holiday period have taught us anything, it's that prudent insulating, and smart building practices are paramount to our comfort and safety during periods of environmental extremes. 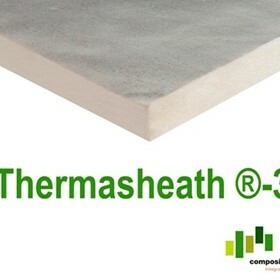 Here at Composite Global Solutions we live and breathe insulation, literally — our company's founder lives in the original, award-winning THERMOHouse. All tilt-up panels have now been erected at Mainfreight's new 5.5 hectare transport and logistics super-site in Larapinta, Queensland — and Composite Global Solutions is proud to announce they are the largest tilt-up Thermomass panels ever made in Australia. 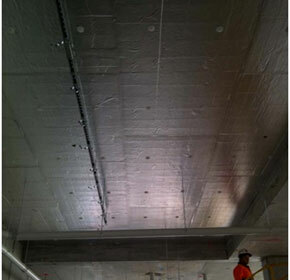 Another Section J compliant car park has wrapped up construction in the Botanica business complex in Burnley, Victoria. 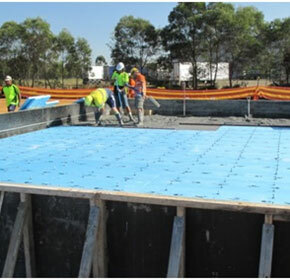 Australian insulation products supplier Composite Global Solutions likes to stay at the forefront of innovation in the concrete industry. 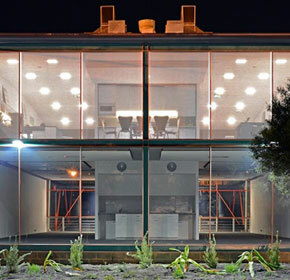 Having finished construction on their new offices, North Freemantle-based, Slavin Architects settled comfortably into their THERMOMASS insulated headquarters. 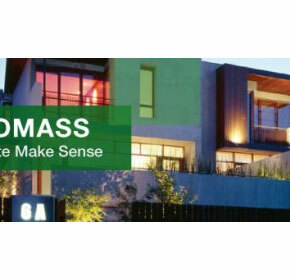 Apart from the significant savings in energy that the occupier of a THERMOMASS building will experience over its life, THERMOMASS pre-cast concrete panels costs no more to construct. 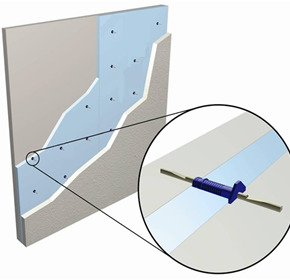 Only the THERMOMASS System is specified with both the insulation component as well as the connectors that hold together the two layers of the concrete sandwich panel. The way the world is going these days, it's important to look to the long term in any decision, regardless of the stake held. 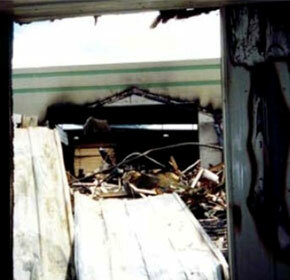 Thermal mass describes the property of a substance where it absorbs heat from the environment. Construction for Stage Two of the environmentally friendly St Brigid's Primary School development is just about to break ground. If you're having trouble meeting the Section J requirements for your car park insulation needs, let us help you out. THERMOMASS is a good investment over time. 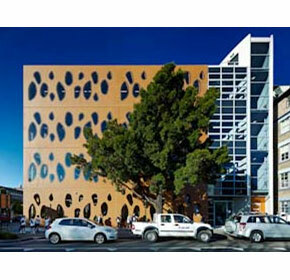 Architectus Auckland completed one of its first high-profile, award winning Thermomass job in 1998, cementing its reputation as a leading trans-Tasman firm. 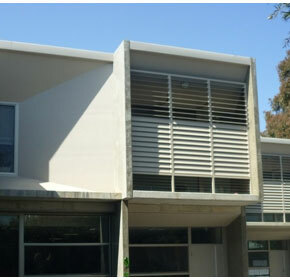 St Michael's Grammar's new precast concrete primary school building facilitates children's learning, as the "third teacher". 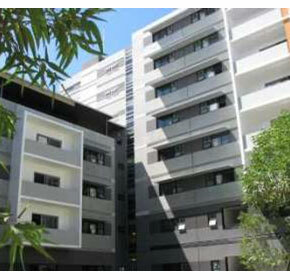 The International Grammar School is nested squarely in the diverse, vibrant, inner city suburb of Ultimo. 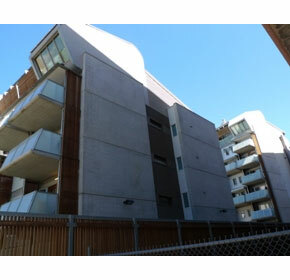 The high profile, award winning K2 Apartments in Windsor, in Melbourne's inner south east, remain a benchmark for medium density residential design and construction. 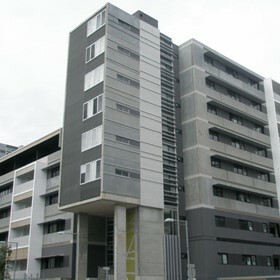 The Village Student apartments at the University of New South Wales' Kensington Campus is yet another award-winning, passively designed Thermomass project.